The World Trade Organization or WTO, formally established in 1995, is an intergovernmental organization devoted to the promotion of international trade. 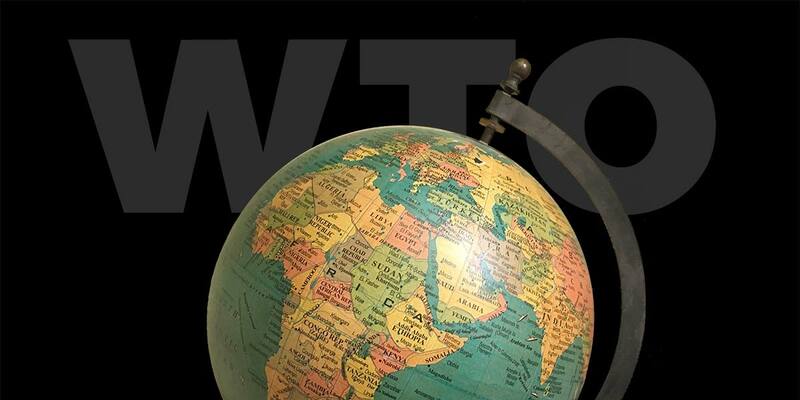 Most of the world's countries (164 as of 2017) have become members of the WTO, which establishes an obligation for them to trade with other members on agreed terms. These terms are set out in a series of treaties or agreements, the most important of which are the General Agreement on Tariffs and Trade (GATT), the General Agreement on Trade in Services (GATS), and the Agreement on Trade-Related Aspects of International Property Rights (TRIPS). At its 2013 Ministerial meeting the WTO established a work program on digital trade issues. Apart from a regularly-renewed moratorium on customs duties on electronic transmissions, the substantive content of the WTO's digital trade work program remains in development. Some countries, such as the U.S., have proposed that the WTO take on topics such as those that were proposed for the Electronic Commerce chapter of the Trans-Pacific Partnership (TPP), including bans on government rules that require Internet servers to be hosted within a country's borders, or that require the source code of imported digital products to be reviewed. Since not all WTO members are willing to rise to this level of ambition, a smaller coalition of the willing at the WTO, calling itself the Really Good Friends of Services (yes, really), came together in 2012 to negotiate a separate Trade in Services Agreement (TISA). TISA officially remains under negotiation at the present time, though the pace of negotiations slowed following the 2016 U.S. presidential election, and due to widening rifts between the United States and Europe on the limits that Europe places on the transfer of personal data outside its borders, and the support it offers to European cultural industries—both of which the U.S. regards as protectionist. Although the transparency and accessibility of the WTO is greater than that of rival trade bodies and negotiations such as the TPP, TISA, and Regional Comprehensive Economic Partnership (RCEP), EFF still contends that more needs to be done to open up the organization to a diversity of stakeholder views before it should expand its work program on digital trade.